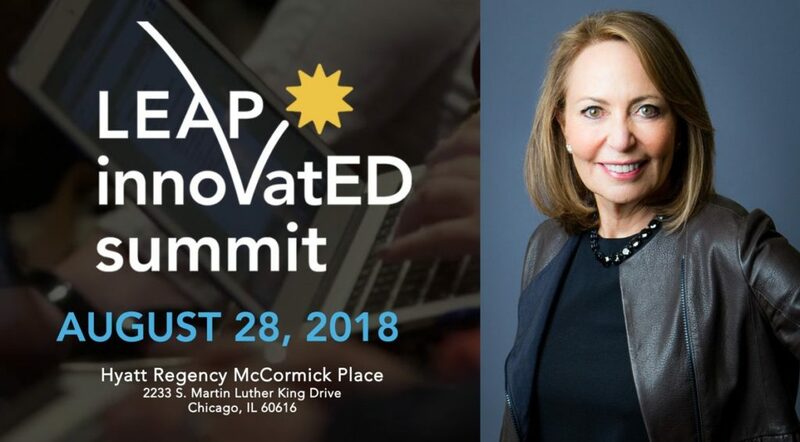 Turnaround for Children Founder and Senior Science Advisor, Pamela Cantor, M.D., and Executive Director, Washington, D.C., Michael Lamb, presented at the third annual LEAP InnovatED Summit 2018 in Chicago, IL. The summit is hosted each year by Turnaround partner LEAP Innovations, a Chicago-based nonprofit that “connects innovation and education to personalize learning and transform the way kids learn.” LEAP InnovatED brought together innovative education stakeholders from across the country for a full day of keynotes, interactive sessions and thought-provoking conversations about best practices, insights and research in personalized learning. In her afternoon keynote, “The Power of Whole Child Personalization: Connecting Science, Learning and Human Potential,” Dr. Cantor shared how schools can be designed to support and personalize learning to address the needs of the whole child. She discussed the impact traumatic experiences can have on a child’s development, ability to learn and thrive — as well as strategies for educators to unlock the potential in each student, drawn from emerging scientific research on how children develop and learn. In his subsequent breakout presentation, “The Power You Carry: How to Become a Brain Builder to Help All Children Thrive,” part of the summit’s “Learner Focused” track, Michael Lamb offered strategies for educators to build classrooms that truly personalize learning for all students, using real-world examples grounded in the science of adversity, trauma and brain development.